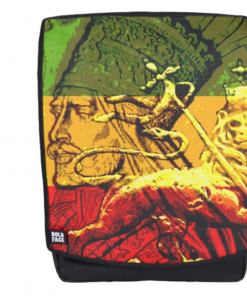 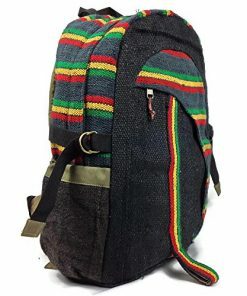 Himalayan's Rasta Hemp Canvas Backpack with Laptop Sleeve Built In. 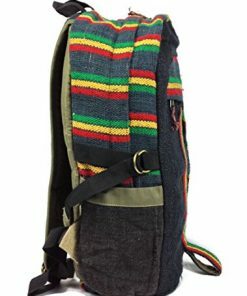 Himalayan’s Rasta Hemp Canvas Backpack with Laptop Sleeve Built In. 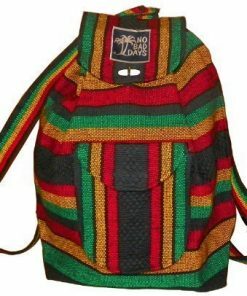 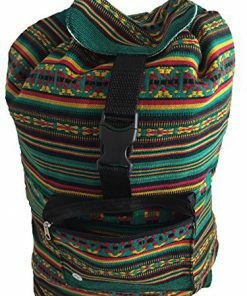 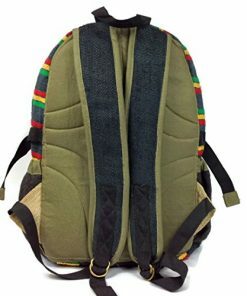 This unisex, high quality, hemp backpack features Rasta colored panels in Hemp Fabric. 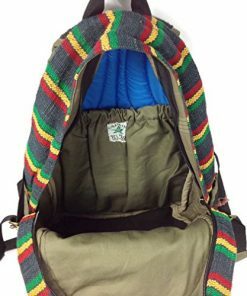 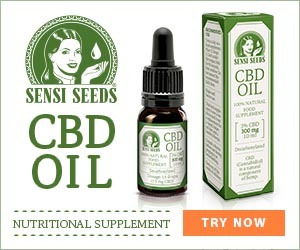 It is an ethical, sustainable, eco-friendly alternative to synthetic and leather backpacks, featuring 100% wild hemp exterior lined with heavy duty cotton. 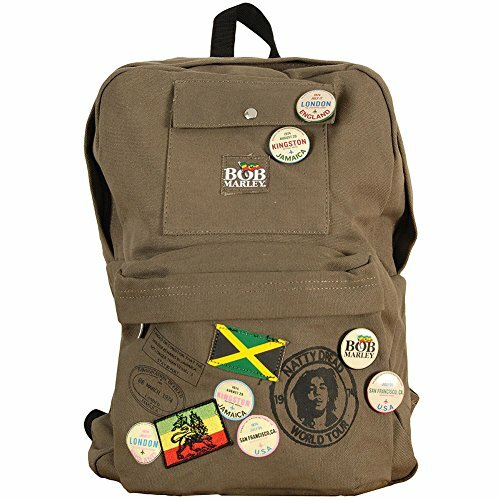 This combination creates a sturdy, extra durable backpack built to last with rugged use. 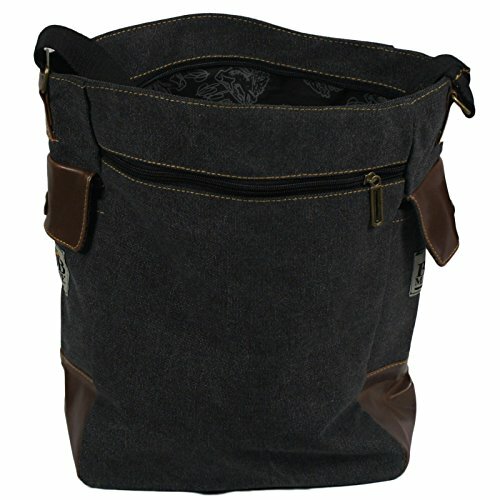 It offers one out side pocket for storage and easy organizing and a main compartment roomy enough for a laptop. 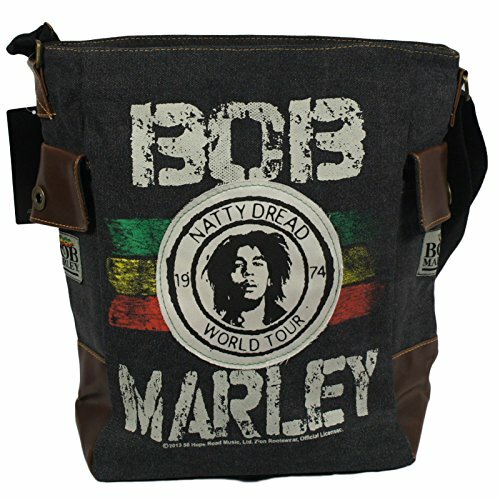 Fits up to 14 inch laptop. 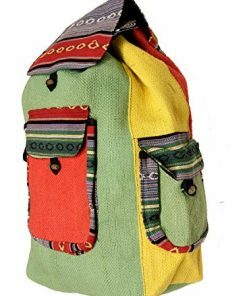 This one of a kind backpack, handmade in the mountains of Nepal, is perfect for back to school, hiking, or travel. 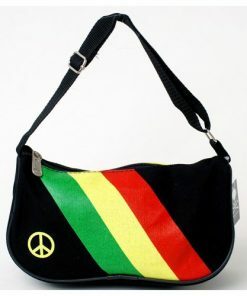 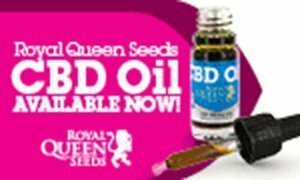 Other great styles and colors are also available. 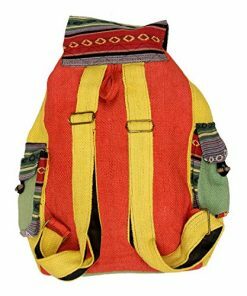 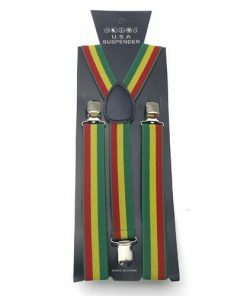 Fully lined and padded straps are fully adjustable. 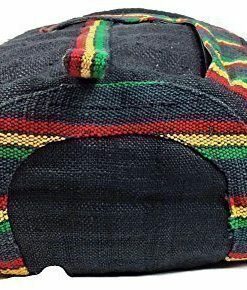 High Quality Zipper. 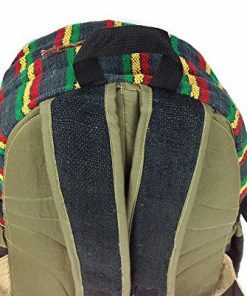 Padded Back for Extra Comfort. 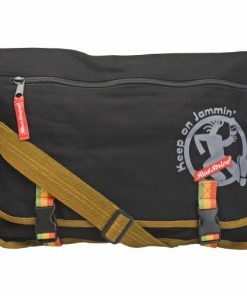 17″ Height by 13″ wide by 5.5″ depth. 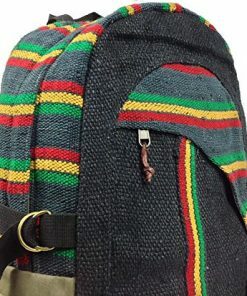 Two pockets on sides to hold water bottle. 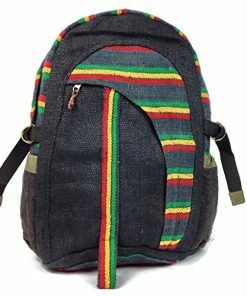 Made with Wild Hemp Canvas, High quality and Satisfaction Guaranteed. 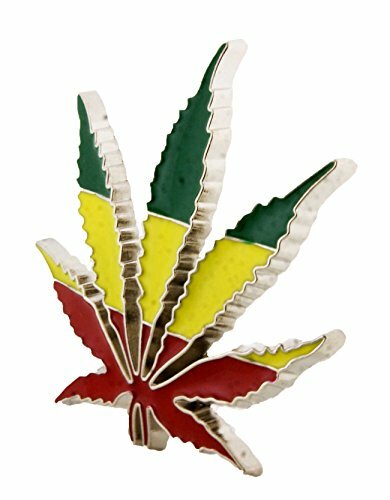 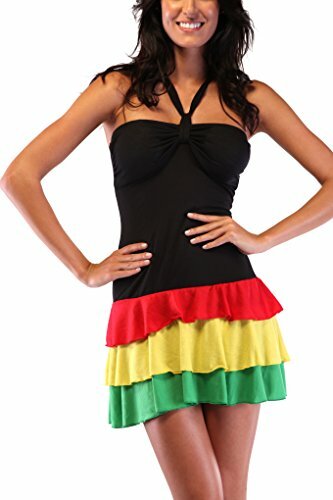 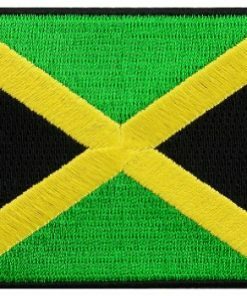 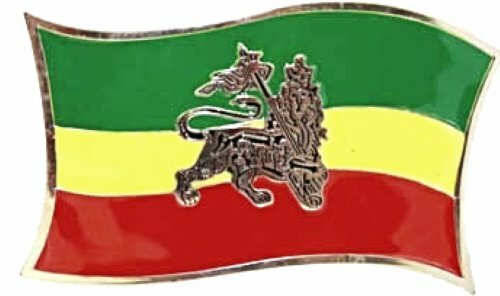 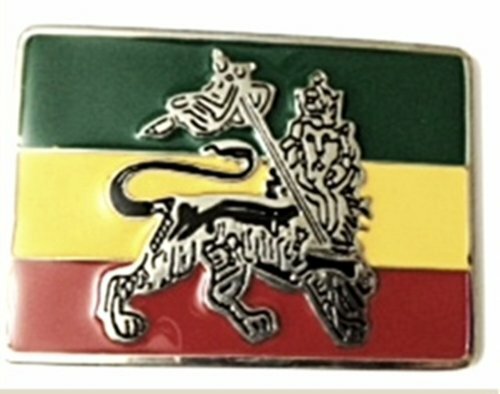 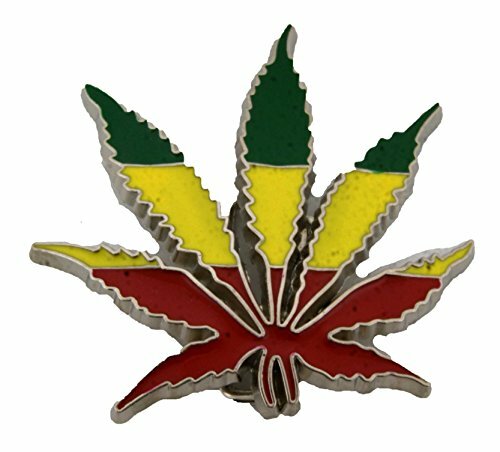 Rasta Reggae Ganga African Lion of Judah Rastafarian Leaf Die Cut Belt Buckle.